＜SUPER JUNIOR-RYEOWOOK Special Live ～Bom Voyage～＞CDブース会場限定特典＆“Meet＆Greet”ご招待決定!! 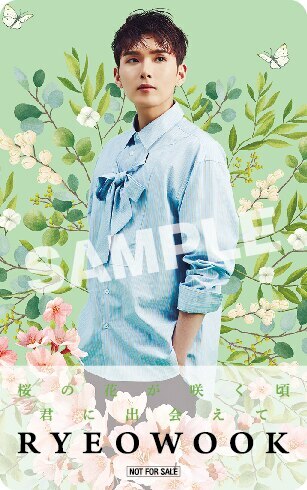 3月20日(水)発売SUPER JUNIOR-RYEOWOOKのJAPAN 1st SINGLE『桜の花が咲く頃』のリリースを記念して、＜SUPER JUNIOR-RYEOWOOK Special Live ～Bom Voyage～＞会場での“Meet&Greet”ご招待＆会場限定特典が決定いたしました! !